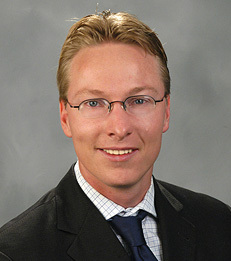 Stijn van Nieuwerburgh (Belgium) is Professor of Finance at NYU Stern. He earned his Ph.D. in Economics at Stanford University and his Bachelor's degree at the University of Ghent in Belgium. His research lies in the intersection of macroeconomics, asset pricing, and housing. He is Director of the Center for Real Estate Finance Research, Member of the Board of Directors American Real Estate and Urban Economics Association, and Editor of the Review of Financial Studies. He is also a Research Fellow at NBER and CEPR. His research has often been featured in the media. He has published highly cited papers in leading journals like American Economic Review, Econometrica, Journal of Finance, Journal of Political Economy, Review of Economic Studies, etc. The award ceremony took place in Madrid on December 16th, 2016.